After months of speculation amongst DC fans, we got a hint today at what could come in “Justice League” with Henry Cavill’s Instagram post. With Superman’s death in Batman V Superman, is it only a matter of time until we see his resurrection? 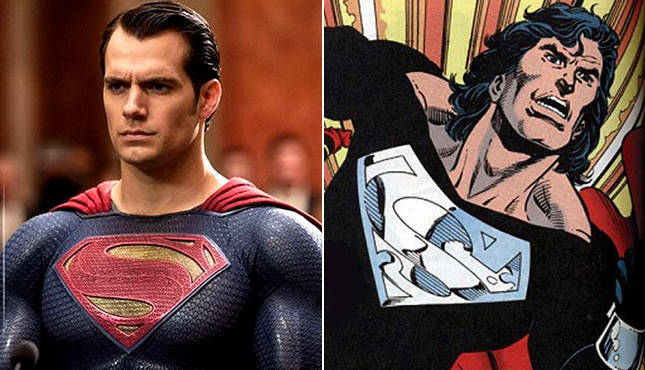 Fans of Superman will recognize the iconic suit that debuted in the 90’s as Superman returned from the grave quipped with shoulder-length hair and a now often wanted-to-see on film suit. During the time Superman spent in stasis recovering in the Fortress of Solitude, his hair grew to shoulder length. Even after reclaiming his title as the one true Superman, he kept his hair long and this was how he was depicted for much of his appearance in the 1990s comics. Before his wedding with Lois, he cut his hair. We recently got to see the black suit make a reemergence in the comics with Superman: American Alien, which also showed the reappearance of the pre-Flashpoint Superman, his wife Lois and son, Jon. With all the buzz going on around the black suit, are you excited to see the iconic attire make it to the silver screens?